Extreme fighting power for big game fish. 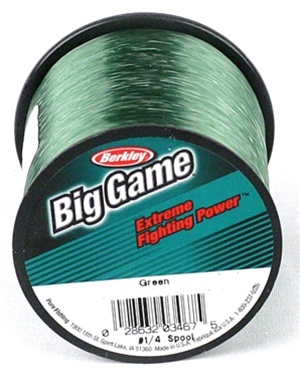 Big Game features an abrasion resistant formula that runs through rod guides with less friction, but has the shock absorption and fighting power to handle big fish in fresh- and saltwater. Trilene® Big Game™ outperforms Ande and Maxima in key tensile and shock strength tests.